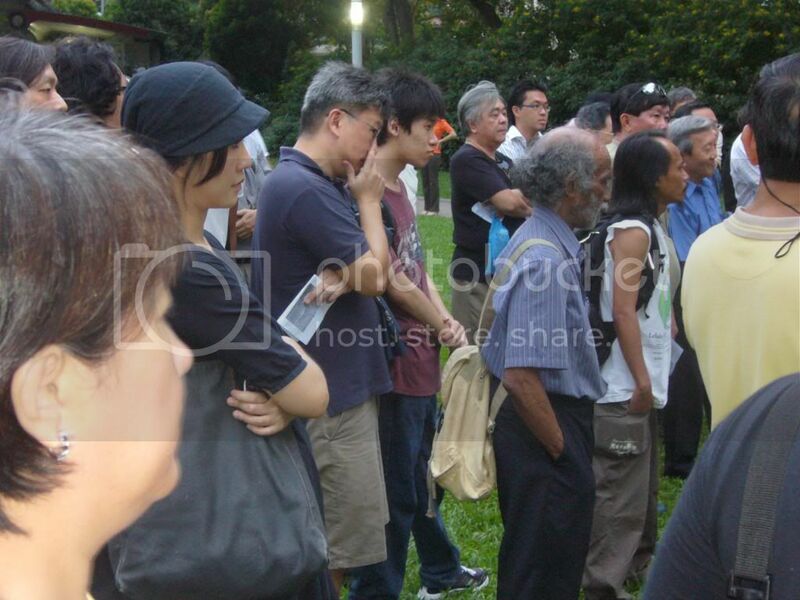 In a simple but solemn gathering at Speakers’ Corner on Thursday, about 100 people observed the 22nd anniversary of the arrest and detention of 22 social activists by the Internal Security Department in May, 1987. 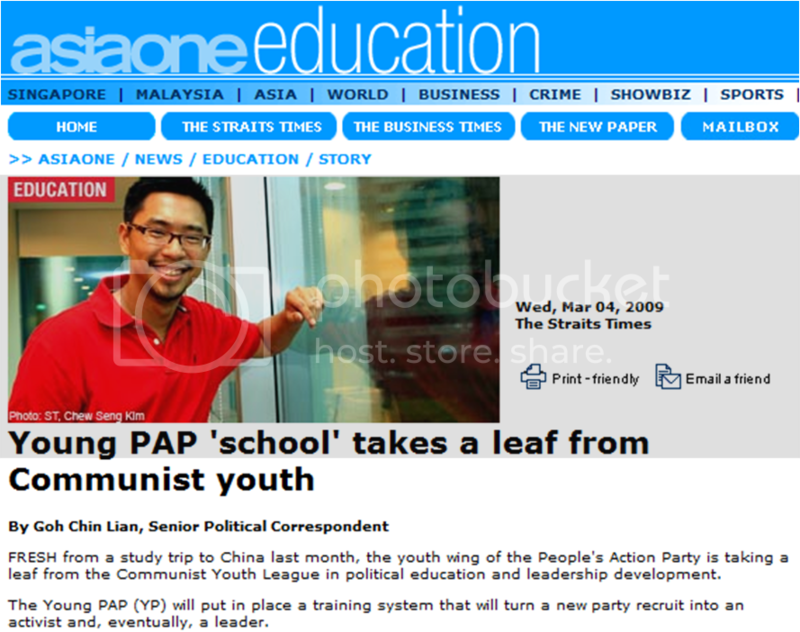 They were accused of being part of a Marxist plot to “subvert the social and political system” in Singapore and replace it with a Marxist one. The 22 were detained without trial for as long as three years. 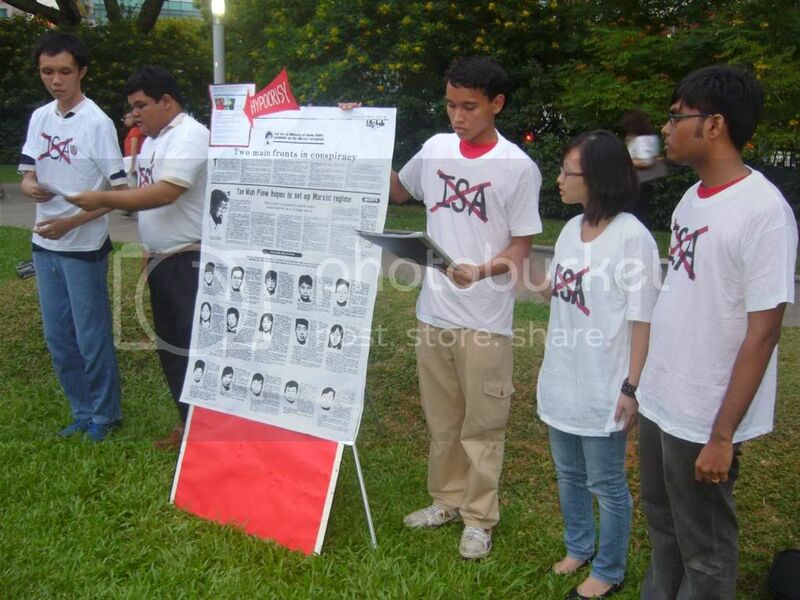 Thursday’s event, organized by a group of five young activists, was held to “condemn the arrest, detention and torture of 22 fellow Singaporeans under the Internal Security Act in 1987,” the group’s statement said. “The ISA threatens the primary rights of freedom of expression and freedom from fear of the people and should be abolished,” they said. 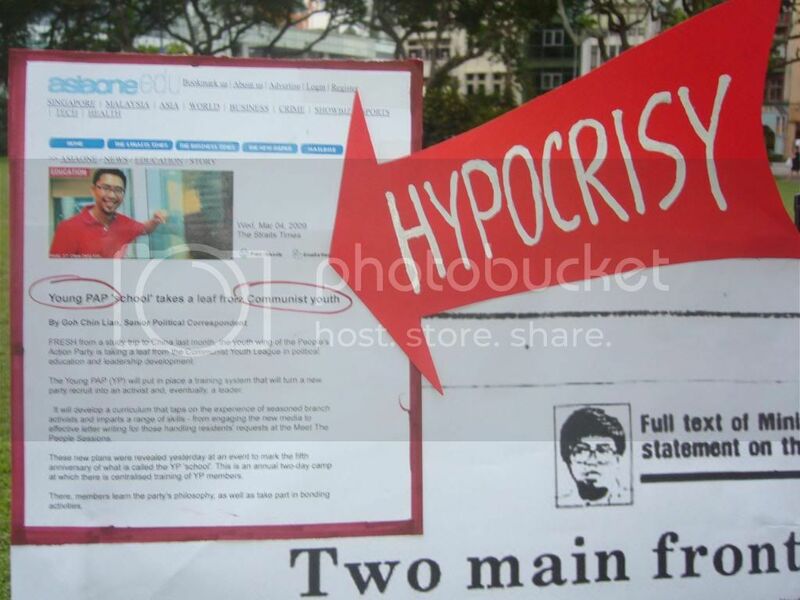 Mr Seelan later read out a strongly-worded, blistering letter from former Solicitor General and ex-detainee, Mr Francis Seow, castigating the actions of then Prime Minister Lee Kuan Yew. 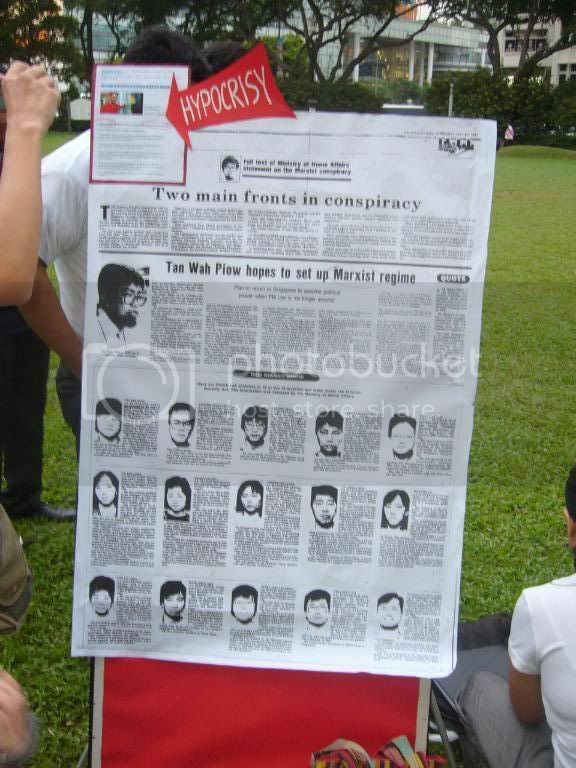 “May 21, 1987, will long remain a day of ignominy in the history of modern Singapore,” the letter said. 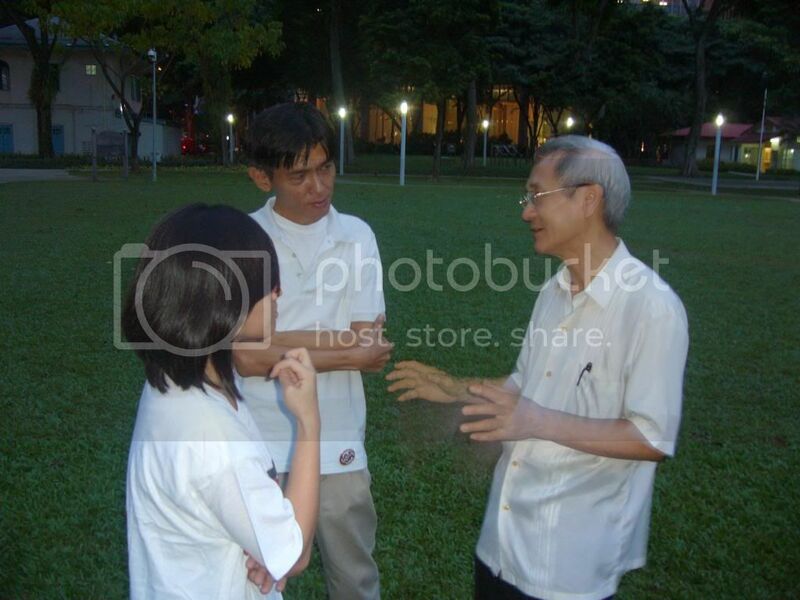 Mr Seow called Mr Lee’s claims that the group of 22 were planning to overthrow the government “a figment of Lee’s overwrought imagination”. He described the confessions of the detainees “not worth the paper on which they were recorded” which, he said, were “obtained under duress from the detainees”. 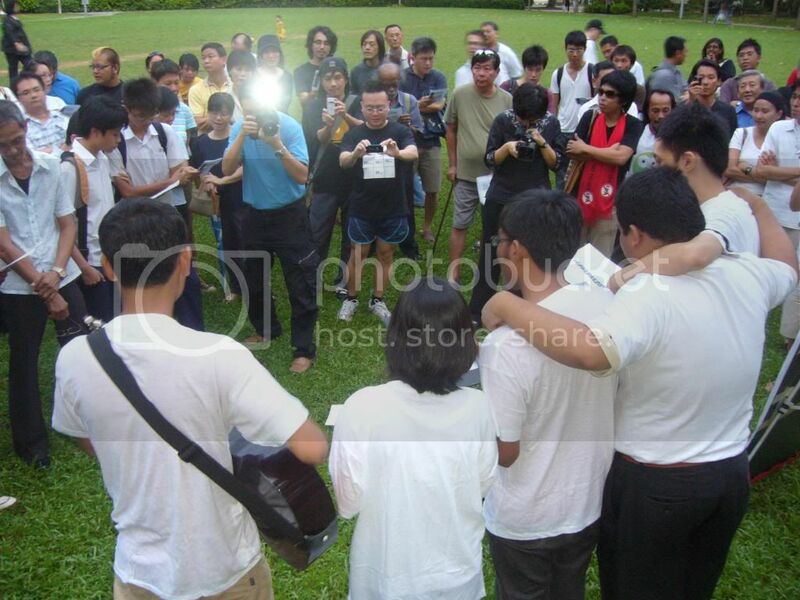 Several of the ex-detainees were present to grace the occasion: Mr Vincent Cheng (picture left, in spectacles) who was then accused of being the ringleader of the “Marxist” group and detained for three years; Ms Teo Soh Lung, detained for two and a half years; and Ms Wong Souk Yee, who was incarcerated for 15 months. The three did not make speeches but mingled with members of the public after the event. Several opposition members were also present to show their support. 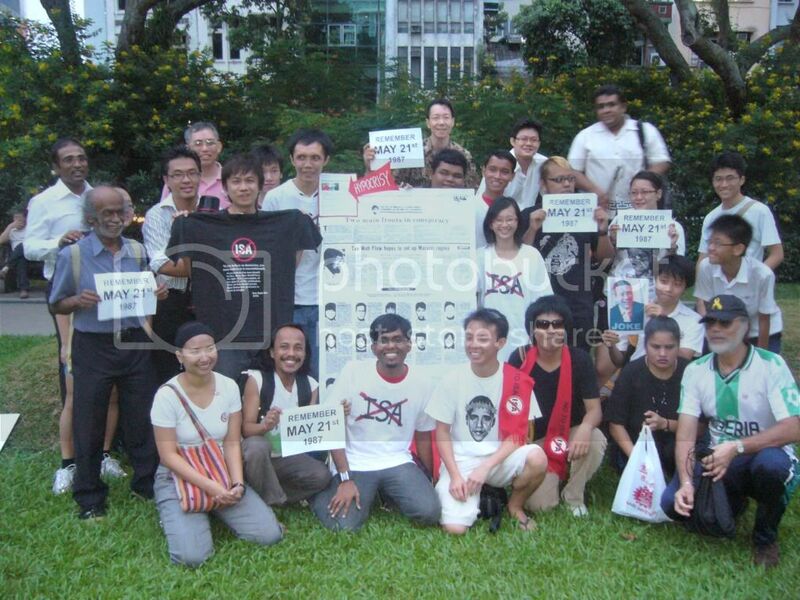 These included the secretary general of the Reform Party (RP), Mr Kenneth Jeyaretnam, Mr Ng Teck Siong, the former chairman of the RP, Mr Gandhi Ambalam, chairman of the Singapore Democratic Party (SDP), Ms Chee Siok Chin, also from the SDP and Mr Goh Meng Seng of the National Solidarity Party. 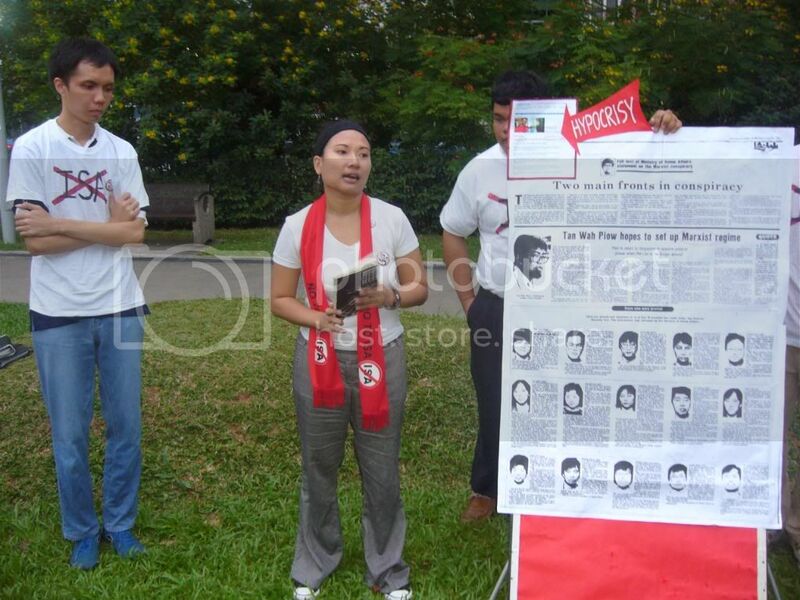 Many in the gathering, which included young students and young adults, expressed appreciation that such an event was held to mark the anniversary of the arrests and detention.